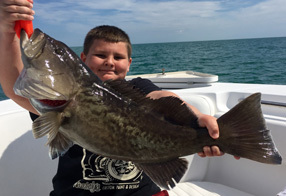 Now taking Gulf of Mexico Deep Sea Fishing & Offshore Bottom Fishing reservations for Gag Grouper Fishing in Hernando County, Spring Hill, Brooksville, Hernando Beach! 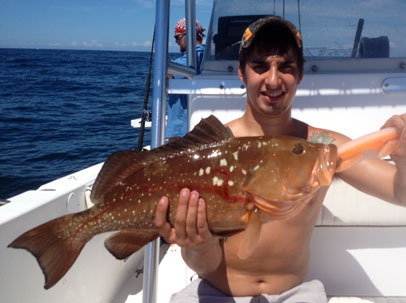 Offering Charter Fishing Trips to all of the surrounding area's of Hernando County. Including all of Spring Hill, Hernando Beach, Bayport, Brooksville, Chassahowitzka, Homosassa, Crystal River, Inverness, Yankeetown, Hudson, Hudson Beach, Port Richey & Tarpon Springs. We are only a short drive West from the Orlando area's attractions, Clermont and Sumter County and only about an hour's drive South West from Ocala, Leesburg, Tavares, Wildwood, Bushnell & the Villages. 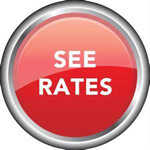 Conviently located only about an hour's drive North from St. Petersburg, Largo, Palm Harbor, Tarpon Springs, Clearwater, Lakeland & the Tampa Bay area! 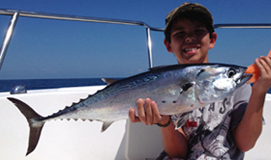 ANGLING ADVENTURES CHARTER FISHING GUIDE SERVICE. 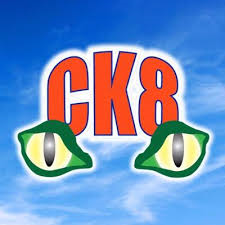 We are a full time West Central Florida Saltwater Inshore flats & deep sea offshore Charter Fishing Guide Service specializing in freshwater bass fishing & saltwater inshore & offshore fishing charters, guided fishing trips, nearshore fishing charters & saltwater light tackle flats fishing trips on the crystal clear grass flats of the Gulf Of Mexico bordering Hernando County, Pasco County & Citrus County . The waters we call home range from the Tampa Bay area north to Crystal River This encompasses all of Tarpon Springs, Hudson, Hudson Beach, Hernando Beach, Weeki Wachee, Bayport, Crystal River & Homosassa. 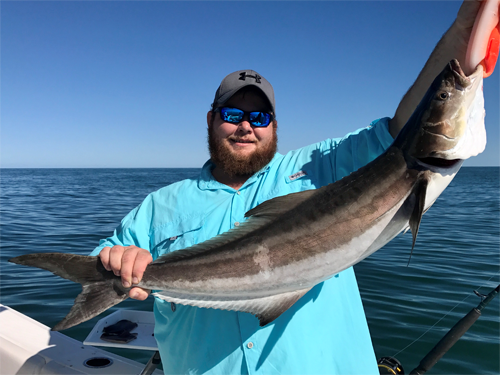 some of the best sight casting opportunities for Rolling Tarpon, Tailing Redfish, Trophy Spotted Sea Trout, Big Snook, Shallow Water Grouper, Jack Crevalle, Cobia, Flounder, Black Sea Bass, Spanish Mackerel, Ladyfish, Bluefish, Sharks and more! new experience for the novice. In addition to world-famous fishing, the Nature Coast’s abundant wildlife helps to provide an extraordinary visual experience. Birds of prey, bald eagles, ospreys, ducks and wading birds are all common sights along the Nature Coast. In addition, dolphins and manatees are almost a sure bet on every fishing trip. 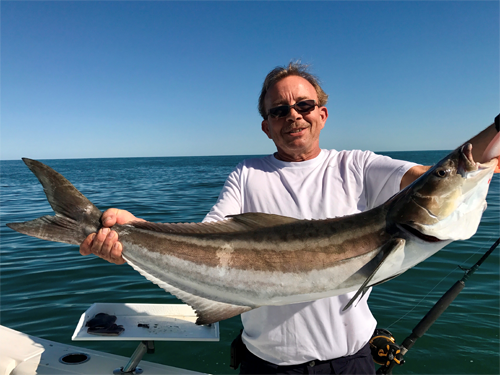 Captain Steven Soults invites you to join him in the search offshore for Giant Red Grouper, Gag Grouper, Goliath Grouper, Big King Mackerel, Monster Cobia, Black Tip Sharks, and MUCH-MUCH more on the crystal clear offshore waters of Pasco County, Hernando County and Citrus County. All charters include all necessary fishing licenses, rods, reel, bait, tackle, ice and Top-Of-The-Line fishing equipment. 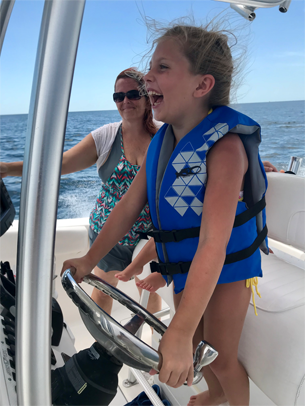 You’ll enjoy your day on the water with a knowledgeable and friendly FULL TIME on the water Captain in our new very comfortable tournament rigged SEA FOX 256 (26') Offshore Fishing Boat. We are located in Spring Hill in (Hernando Beach) only a short drive west from downtown Orlando & only 45 miles north of Tampa & 40 miles from Ocala in west central Florida. What are you waiting for? 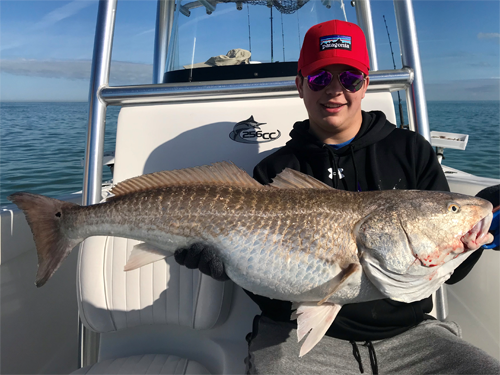 Take a break, grab your family and friends and book a exciting fishing charter now to experience some of the best light tackle fishing on the west coast of Florida. with Twin Yamaha 150HP 4 Stroke Outboards! 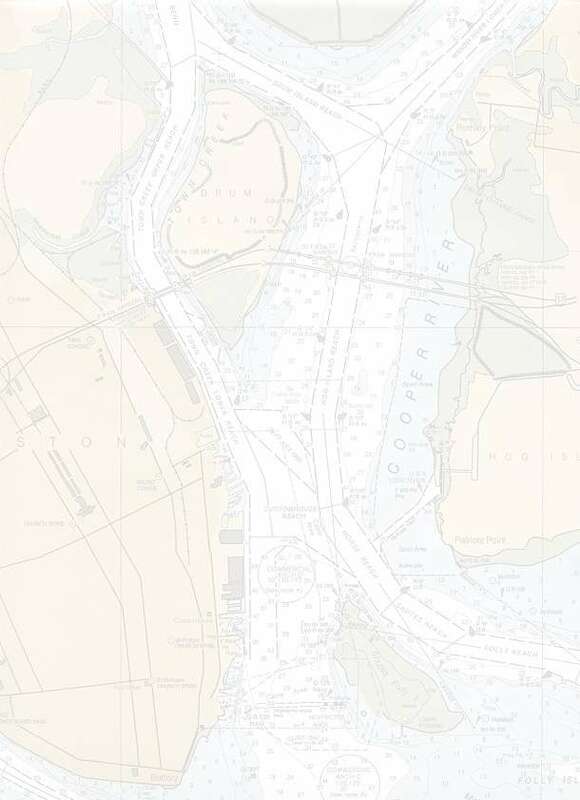 On the (MY BOATS LINK) listed at the top of page. FULL TIME ON THE WATER CHARTER CAPTAIN! 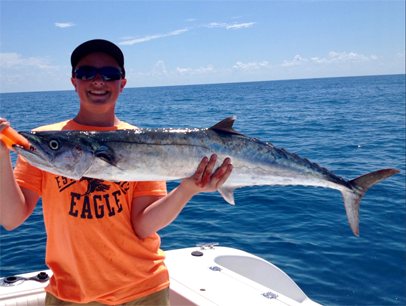 Providing Quality Fishing Charters since March of 2001! Were not just fishing / Were catching! Angler's of all ages and experience levels welcome! Making memories everyday that last a lifetime! 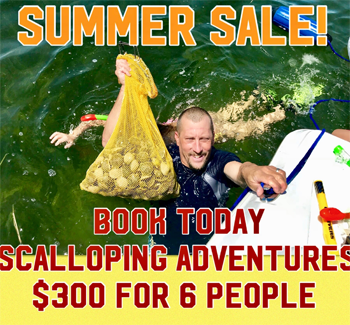 Book Now to lock in the price of $300 for up to 6 scallopers! 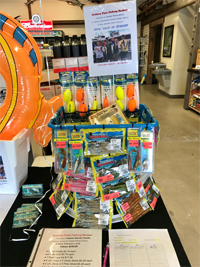 Special Rate listed above are for up to 6 Scallopers for the price of 4! 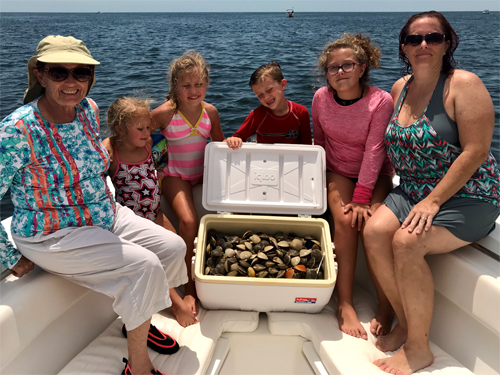 Scalloping was FANTASTIC for the 2018 Season! 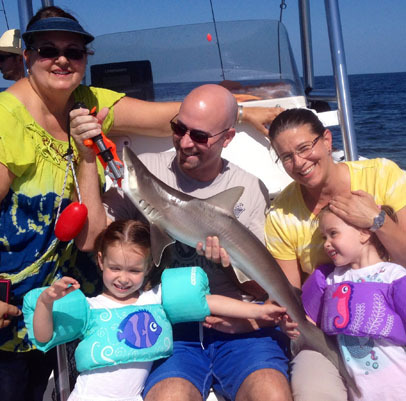 Another Happy Family w/their limit! Have only 1-2 Scallopers then check out the Special listed below! 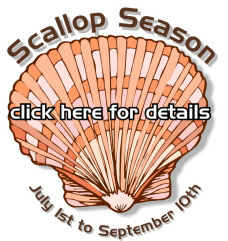 Book Now to lock in the price of $250 for up to 1-2 scallopers! Make sure you mention the website to get the Summer Special listed above! 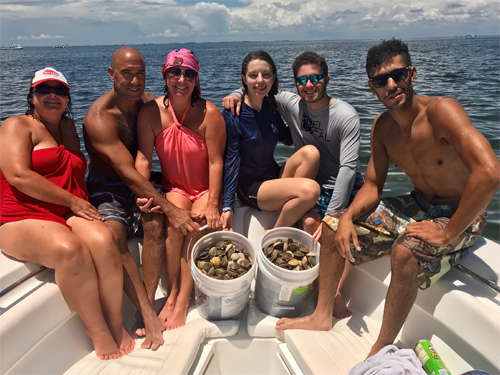 Fun Family Scalloping at its Best! Deirdre & her family went home with their limit of 10 Gallons of tasty Bay Scallops for dinner! Great job guys! Now taking reservations for Scallop Charters for the 2019 Scallop Season in Bayport, Hernando Beach, Chassahowitzka, Homosassa and Crystal River area's. We provide all masks, snorkles, flippers, bags & nets needed! 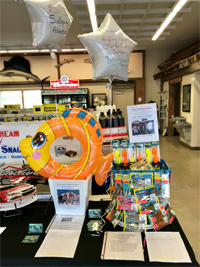 Grab a cooler with drinks & lets go have a fun day on the water! Bragging Board from recent Scalloping Charters! 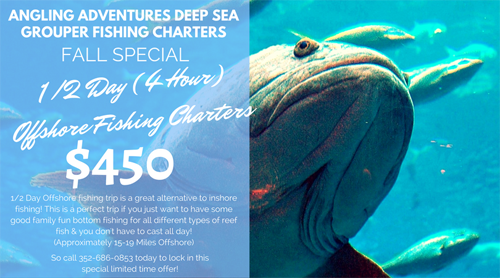 BOOK NOW to lock in our Inshore Fishing Special! 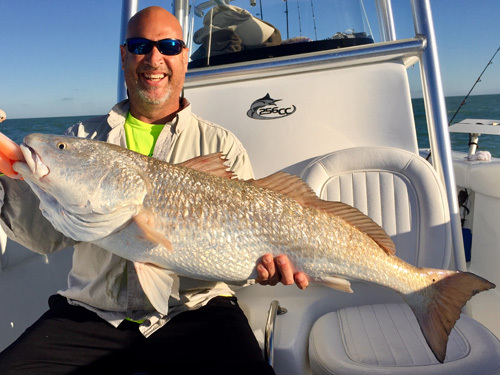 Bragging Board from recent Inshore Fishing Charters! Proudly Sponsored by Bass Assassin Fishing Lures! 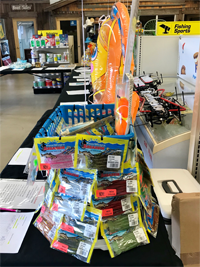 Click either link above for ordering information on the soft plastic bait's demonstrated at one of our many fishing seminars! 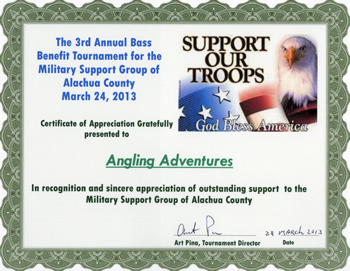 Angling Adventures proudly supported the Bass Assassin Bait Company in the 3rd Annual Bass Benefit Tournament for the Military Support Group! 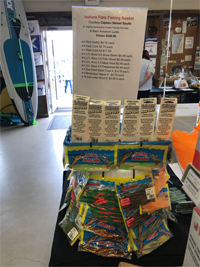 Depending on the time of the year and what type of fishing you are looking to do with you and your family and/or friends, it may require us to drive out further offshore and require the 4/5 hour trip or the 6 hour Extended Trip listed below! 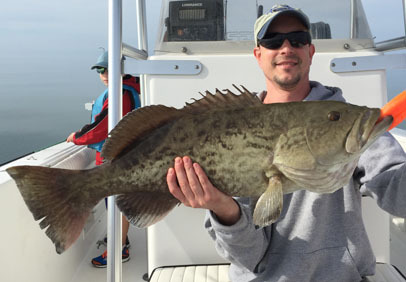 Gag Grouper will open for harvest as of 6/1/2019! 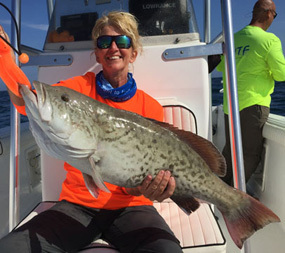 Red Grouper Season is open for the 2019 Season! 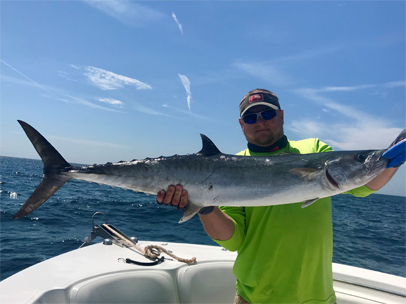 King Mackerel fishing is starting for 2019! BOOK NOW for our Spring Bottom Fishing Special! 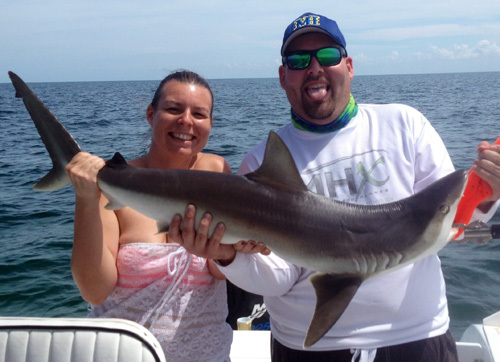 1/2 Day Offshore fishing trip listed below is a great alternative to inshore fishing! 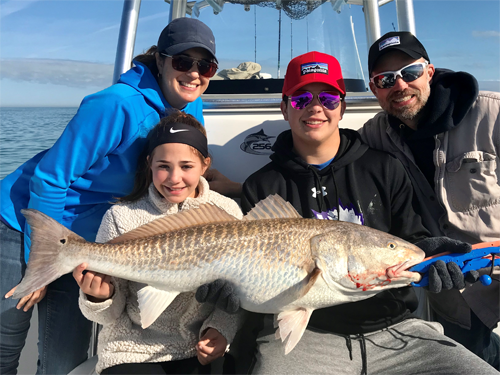 This is a perfect trip if you just want to have some good family fun bottom fishing for all different types of reef fish & you don't have to cast all day! Great Trip for the months of March-June & September-December! Great Trip for the months January, February, July & August! 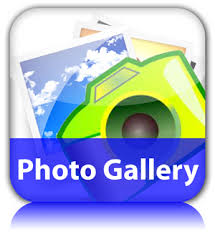 Our Pictures Tell the Real Story! 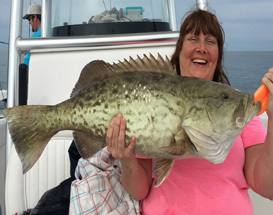 Bragging Board from recent Offshore Fishing Charters! FOR THE MEET & GREET CAPTAIN'S PARTY ON NOVEMBER 28TH! 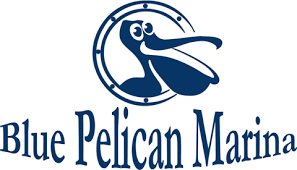 THANKS AGAIN BLUE PELICAN FOR THE INVITE & CENTER STAGE! 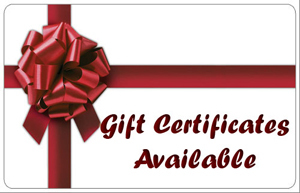 Gift Certificates make great Gifts for all occasions! A $50 Deposit & you will get a Gift Certificate to wrap up for that special someone! No need to lock in a specific date at the time of booking! Click on SEE RATES BUTTON below for more info on my trips! 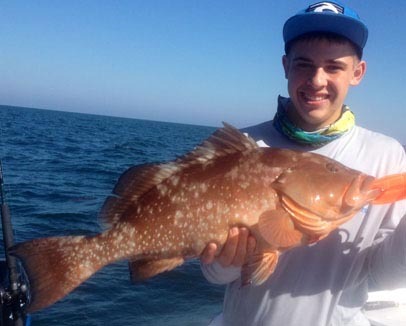 CLICK on the MORE INFO bar below for more pictures of nice catches! 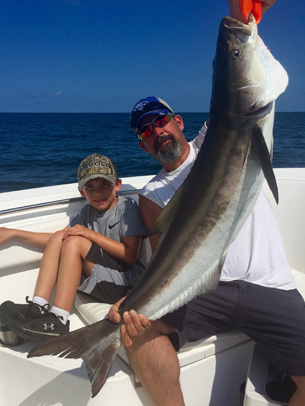 Don't take a expensive boat ride w/a part time captain that has another full time job and does charter fishing on the side to pay for his hobby and unfortunately.... doesn't spend the time on the water needed to provide you with the fishing trip you and your family deserve! 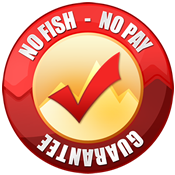 Go with a full time on the water captain that will guarantee fish! Want to pay with a check or cash? 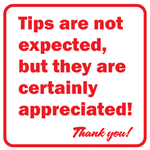 We gladly accept all personal checks and of coarse cash is best! Want to pay by Credit Card? We gladly accept all major Credit Cards! 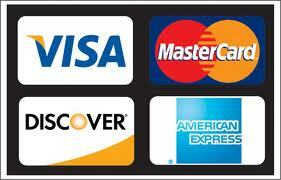 We now accept VISA, MASTERCARD, DISCOVER & AMERICAN EXPRESS! 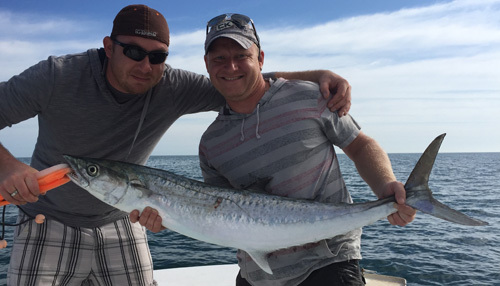 Click below for all the details on booking a fishing trip to remember! 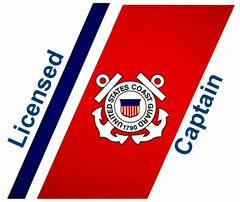 I am not one of those captain's that will take you out on a unsafe day & put you and/or your family at a safety risk. I would rather cancel & see you next time, rather than never see you & your family again, because it was a unsafe day! YOUR SAFETY IS MY #1 CONCERN! 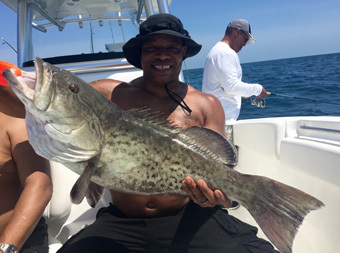 TO FISH OUT PAST 9 MILES ON THE GULF COAST! Don't get caught on a vessel that is not legally allowed to fish out past 9 miles. 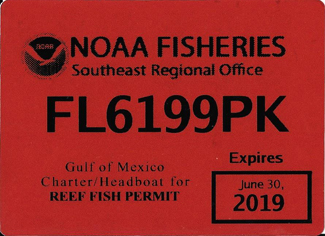 Ask the Captain if he/she has a valid Federal Fisheries Charter/Headboat Permit listed above! PROUD MEMBER OF THE MARITIME CONSORTIUM INC.
testing regulation, with over 9000 members! 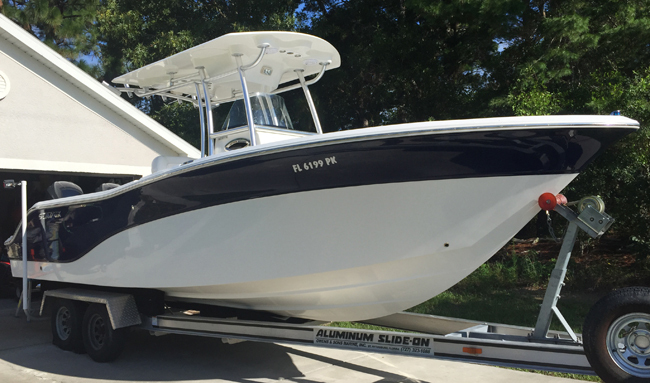 Even though we are running newer equipment, Angling Adventures is covered by a commercial towing program to ensure that you and your family are going to return safetly to port even if a problem arrises! Basically a (AAA) program for the water! Plus I have dual 4 Stroke Engines! Click on the website below to find the EUPRO Rods demonstrated at my Fishing Seminars & from Inshore/Offshore Fishing Charters!